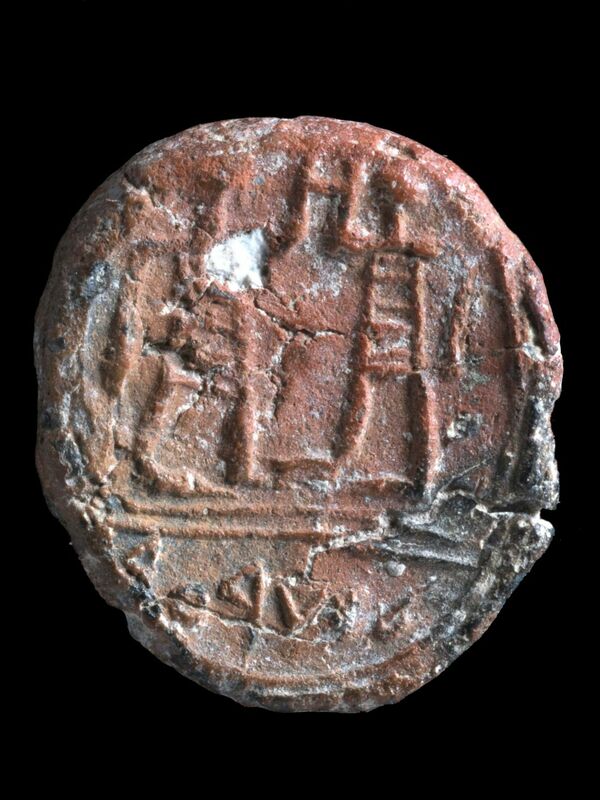 A fantastically preserved seal impression made by the biblical Governor of Jerusalem during the First Temple era has been found by archaeologists where it fell 2,700 years ago. Many dozens of seal impressions and seals themselves have been found in ancient Jerusalem, including in this area by the Temple Mount. Also, several seal impressions of the Jerusalem governor ("sar ha'ir"), who was the highest-ranking officer in the city, have been making the rounds in the black market, Dr. Shlomit Weksler-Bdolah told Haaretz. But this lump of baked clay, all of 1.3 by 1.5 centimeters in size and just over two millimeters thick, is unique in being of unquestionable provenance. "Ours is special because this was the first time the seal of the Governor of the City of Jerusalem itself was found in the right place," Weksler-Bdolah says. The upper part of the governor's seal impression shows two standing figures facing each other, though their potential identities are obscure, as their heads are depicted as dots, with no special features. The two are garbed in a striped, knee-length garment, say Ornan and Sass. The lower part has bears the inscription in ancient Hebrew script "sari'r" which the archaeologists are confident is ancient Hebrew for "sar ha'ir" or "governor of the city." Typical of the time, there is no space between the words. Apropos stripes, testimony that they were a common theme in ancient garb - the biblical story of Joseph aside - was found at the so-called "Solomon's copper mines" in Timna, for example. 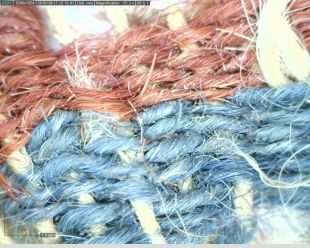 Woolen textiles that the aridity helped preserve for over 3,000 years in that stark desert sported red and blue stripes. As for the governor of Jerusalem, his was an appointment by the king, explain professors Tallay Ornan of the Hebrew University and Prof. Benjamin Sass of Tel Aviv University. The bible mentions this lofty position twice. One mention is in 2 Kings, in the context of King Hezekiah's assault on paganism and avowal of devotion to the Lord. 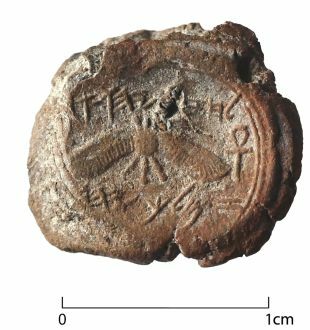 Apropos Hezekiah, no less than a bulla (seal impression) of the king himself was discovered in 2015, also by the Temple Mount in Jerusalem. That impression, oval in shape and also bearing ancient Hebrew lettering, as well as pagan symbols, was believed to have been set in a ring. The Hezekiah bulla featured a two-winged sun, with wings turned downward, flanked by two ankh symbols symbolizing life. Why a Jewish king would have pagan symbols on his seal is another matter: some assume it is because he was de facto a vassal king on behalf of the Assyrians. How the Governor might have used this seal impression is completely unknown. Maybe it had been given to somebody as a casual souvenir on behalf of the governor of the city, or served as a logo in some fashion, suggests Weksler-Bdolah. The "Governor of the city" clay sealing was noticed during conservation works of a building dating to the First Temple era, around the 6th or 7th century B.C.E., Weksler-Bdolah told Haaretz. 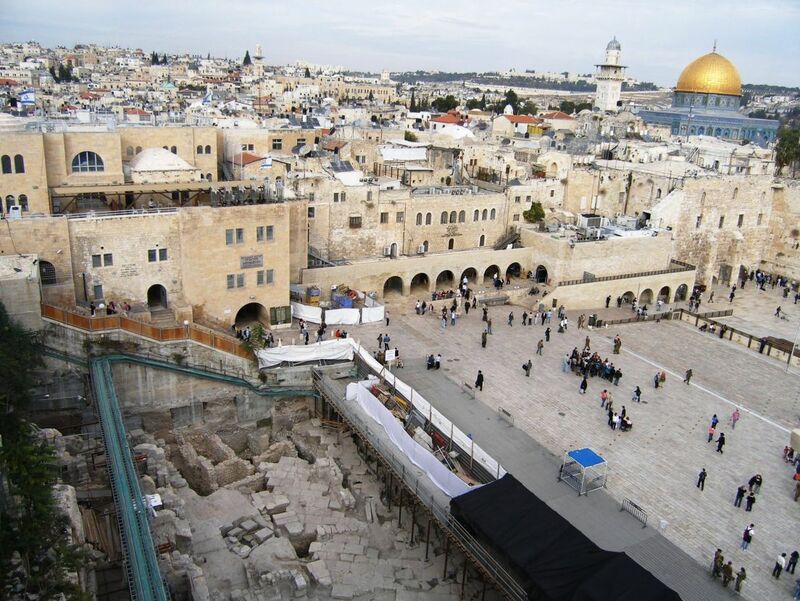 The excavations in the Western Wall plaza that found the building began in 2005, halted in 2010 and are now being completed, explains Weksler-Bdolah. It was that main dig in the plaza that unearthed the remains of the First Temple-era building. Back when, this building had been on prime real estate. It was located on a hill slope facing the First Temple, which legend says was built by King Solomon (of whose existence no solid evidence whatsoever has been found). Though it was positively monumental, with walls more than five meters in height, the archaeologists believe it was a house, not some sort of administration building or palace. Its plan is typical of houses of the era, Weksler-Bdolah explains. Given its size and location, she believes the house had belonged to a very high-ranking official, the sort who would have a seal to sign documents. 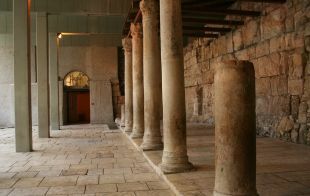 How exactly was this ancient house preserved in Jerusalem, a city destroyed more than once, where the very stones get repurposed time and again? 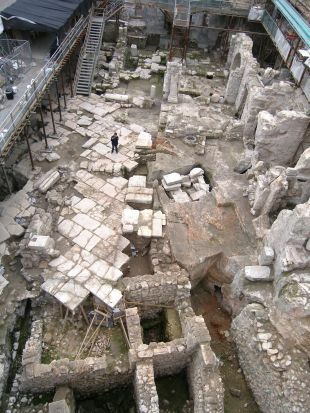 After quelling the Jewish Revolt, destroying Jerusalem (again) and rebuilding it as capital of the province "Aelia Capitolina," the ancient Romans paved their famous Cardo road cutting through the city – smack on top of this building. To wit, the Romans efficiently flattened the ground and when they got to this building, they lowered the walls to the height they found convenient. Then they filled in holes here and there with dirt, and paved the Cardo with stone blocks above it. "Archaeologically speaking, we're missing some hundreds of years but the walls from 7th century B.C.E. house supported the filling underneath the Cardo," Weksler-Bdolah says. How did the archaeologists date this building to the 7th century B.C.E.? The building had been filled up to the top of the walls with dirt that was, in turn, filled with fragments of household stuff, notably fragments of pottery and from hundreds of pagan figurines. There is no doubt that the Jerusalem residents in the First Temple era were Judaic, says Weksler-Bdolah: the animal bones found there, attesting to local diet, were almost entirely of goat and sheep, with zero remains of the swine. Conversely, about 60 percent of the bones found in buildings associated with the Romans who built Aelia Capitolina were pig. So, yes, the Israelite households did not cavil at worshipping or at least holding onto pagan images, "maybe just to be safe," Weksler-Bdolah jokes. 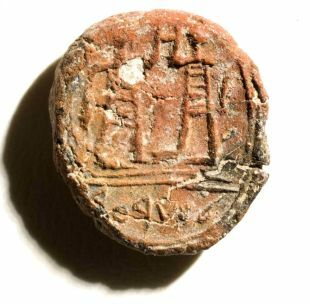 The seal impression of the Governor of the City was found, says the Israel Antiquities Authority, by Shimon Cohen while wet-sieving soil from the late First Temple-period building. Following its analysis, the impression was presented to Jerusalem Mayor Nir Barkat, who will be showing it in his office. Weksler-Bdolah note that seven seals were also found in the remains of the ancient house, all with writing in ancient Hebrew script, and one depicting an Assyrian-type bowman. Previously and elsewhere, dozens of seals and seal impressions from the First Temple period, many with biblical-type names in ancient Hebrew text, were found in excavations of the City of David, though not in this building. The seals lend credence to the theory that Iron Age Jerusalem was a major administrative capital of the Judean kingdom, claimed an archaeologist exploring the site, Joe Uziel. Today people who want to secure letters or notarized documents use wax seals. Thousands of years ago, in the Iron Age, the ancients safeguarded correspondence using a sealing of moist clay that would be imprinted with the seal. The fiery destruction of ancient Jerusalem by the Assyrians in 732 B.C.E. had the effect of inadvertently firing clay sealings, he pointed out. 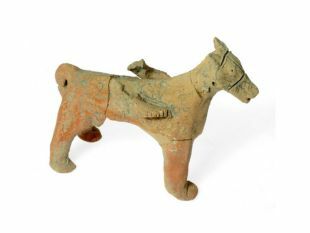 It was found, says the Israel Antiquities Authority, by Shimon Cohen while wet-sieving soil from the late First Temple-period building. 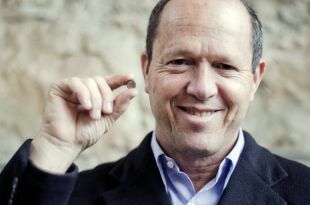 Following its analysis, the impression was presented to Jerusalem Mayor Nir Barkat, who will be showing it in his office. Previously, dozens of seals and seal impressions from the First Temple period, many with biblical-type names in ancient Hebrew text, were found in excavations of the City of David. The seals lend credence to the theory that Iron Age Jerusalem was a major administrative capital of the ancient Judean kingdom, claimed an archaeologist exploring the site, Joe Uziel. In general, modern people who want to secure "letters" (that predated email) or notarized documents use wax seals. Millennia ago, in the Iron Age, the ancients safeguarded correspondence using a sealing of moist clay that would be imprinted with the seal. It is a strange irony that when the Babylonians burned down Jerusalem in 589 B.C.E., the clay bullae and their impressions were baked hard, and would survive the devastation.